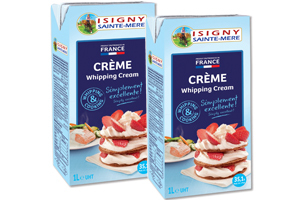 Isigny Sainte-Mère’s homogenous pouring UHT cream has been designed to withstand the rigours of cooking. It is stable and stands up to additional ingredients. 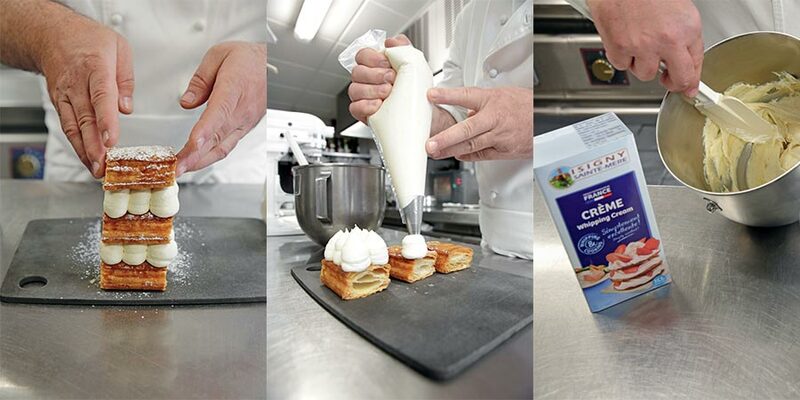 It gives very light and fluffy results when it is whipped for patisserie. It has a sweet flavour, the taste is stable. These are the key words for our sterilised product, which can be stored unopened in a dry place for several months. Isigny Ste-Mère uses a direct heat treatment which protects the fat. By using this process, the fat is not altered. This is essential for the quality of the finished product, since the fat gives it its taste.